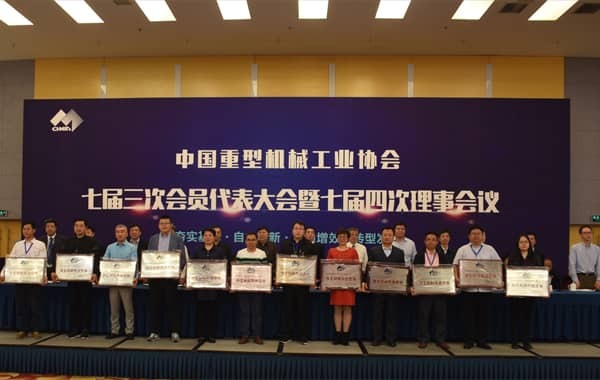 The third session of the 7th China Heavy Machinery Industry Association was hold from 18th, April to 20th, April at Beijing. The leaders from the related department and China Machinery Industry Federation joined the conference and gave special reports. The conference commended the companies that have made outstanding achievement in independent innovation. 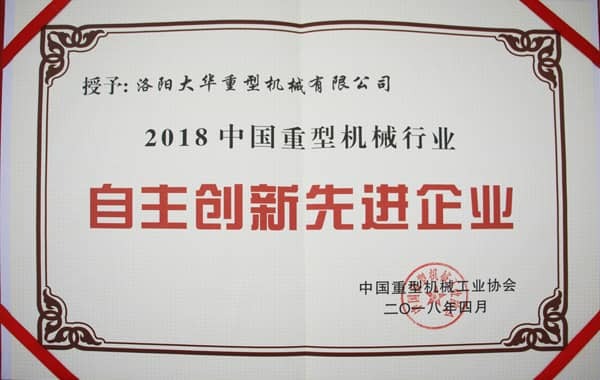 Our company is awarded as the Independent Innovation Advanced Enterprise. In recent years, Luoyang Dahua pays attention to the products technical research and innovation to provide a cost-effective aggregates production solution. The brand influence continuously rising, deeply favored by the customer, and receives the praise from the industry. Previous Article：Why the Main Shaft of Cone Crusher will break?